And I think, Moshe, that is my name. And as a cohen, a member of the ancient priestly class, I am a direct descendent of Aharon the high priest, brother of Moshe/Moses. God is speaking to Moshe and instructing him to speak to the cohen clan, the sons of Aharon/Aaron, my family, me. And these laws are still on the books, they are the laws we live by today and many of these are in fact the laws of the State of Israel. We live by these laws passed down from generation to generation. And I know this all so very relevant. We are living these words, we are fulfilling these words. And when we travel around Israel we still find remains from ancient battles. We know where David fought Goliath, we know where Joshua stood with the armies of Israel, we know were King Hezekiah stood to defend Jerusalem, we walk in their footsteps. The words written in these ancient scrolls are still the words we live by today. And the images from the past inspire the present. The actions of the fathers are a sign for the sons. As we read these words Avraham Avino, Abraham our father, comes back to life. He is training his people in the art and tactics of warfare, he is leading his men in battle against those who seek to oppress his clan, the Hebrews. We read about the brothers of Joseph, all warriors, and how Simon and Levi defend the honor of their sister Dina, though badly outnumber. We read about Ehud ben Gerah and his double edged sword, we read about Samson and his improvised weapons, we read about Deborah who planned the strategy against Canaan, and Yael who killed Sisra the commander of Canaan. We read about Gideon who fought Midian and Amalek. We read about Yiftah and Saul and David and Jonathan, all great warriors. This is our story and it is their example that still inspires us today. But today we also have new heroes. So many new heroes whose stories shall be told for many years to come. They have the same names as their Biblical ancestors, and they fight in the same land, and for the same cause. And still we pray for peace, but prepare for war. And we long for the days that "and the land shall rest for forty years". Immerse yourself in Krav Maga, Jewish history and Israeli culture for two weeks. Krav Maga Tour and Train Israel, and experience like no other. Krav Maga Tour and Train . Video produced by Esther Lehman for IKI. What makes Israel Unique? 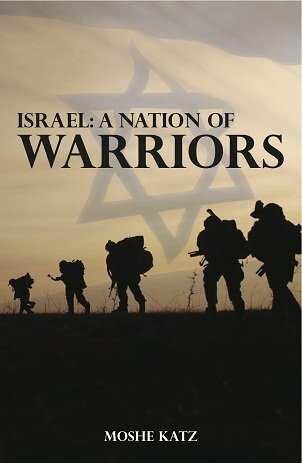 Analysis of the Reserve system, history of a warrior nation from the days of the Patriarch Abraham to the IDF soldiers of today.